As Director of International Sales and Business Development of DARCO (Europe) GmbH, I would like to welcome you personally on our websites. For further information please do not hesitate to contact us. We are looking forward to helping you. 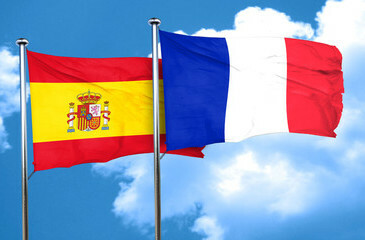 Our webpages are also available in Spanish and French! Our Product Groups: Therapeutic Shoes, Orthoses, Walkers and Bandages, Positioning Devices, Insole Systems and Accessories and Tapes. For preventive, postoperative, trauma and kids care. For sports and physiotherapy, diabetic and wound care. 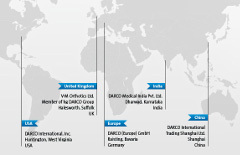 Please visit our site "DARCO Worldwide"
"Every 15 seconds somewhere in the world a foot and ankle specialist prescribes a DARCO product."